This month my neighbor and I started working out, as in gym memberships, daily cardio classes and motivating each other to keep at it. With this desire to stay active, I also find myself eating healthier and more consciously. For me, weekly planning leads to daily success. If I don’t plan our cardio class schedule out for the week on Sunday, chances are days will be missed. If I don’t plan and prep meals over the weekend, I will be more than likely to skip a meal or take in more junk food. So weekly planning is essential. I have went as far as stocking up and doubling the amounts of healthier foods and snacks in the kitchen. I have added a larger variety of S&W Beans to the pantry to add to meals. The brand has a lot of varieties and options and starting meals with beans is a great healthy way to get protein. 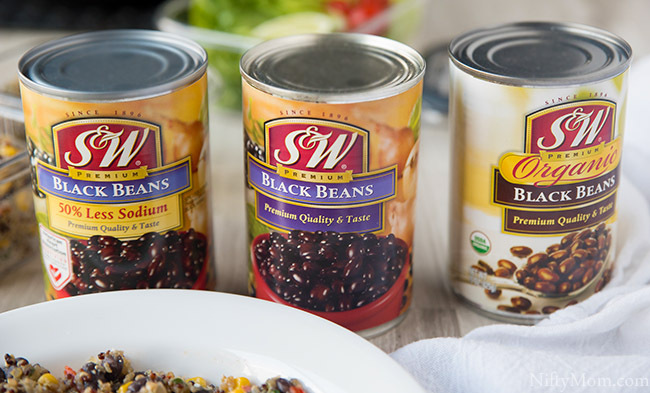 S&W Beans even has a variety of choices for their different premium beans. For example, the black beans are available in both organic & 50% less sodium options. S&W Beans are definitely a household staple. Be sure to visit their coupon page for savings! 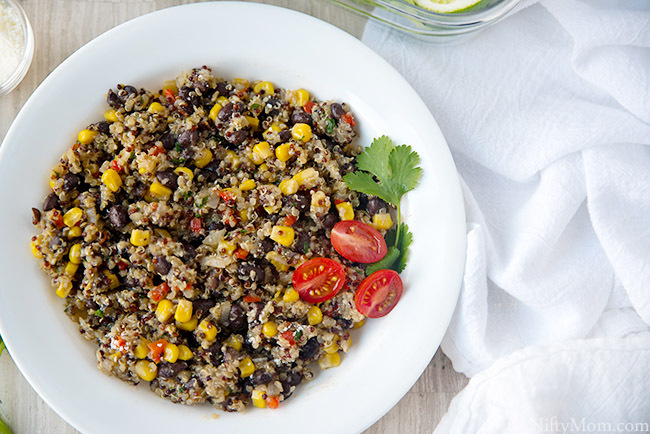 One of the healthier versatile dishes in my rotation is this easy Quinoa & Black Bean Salad. 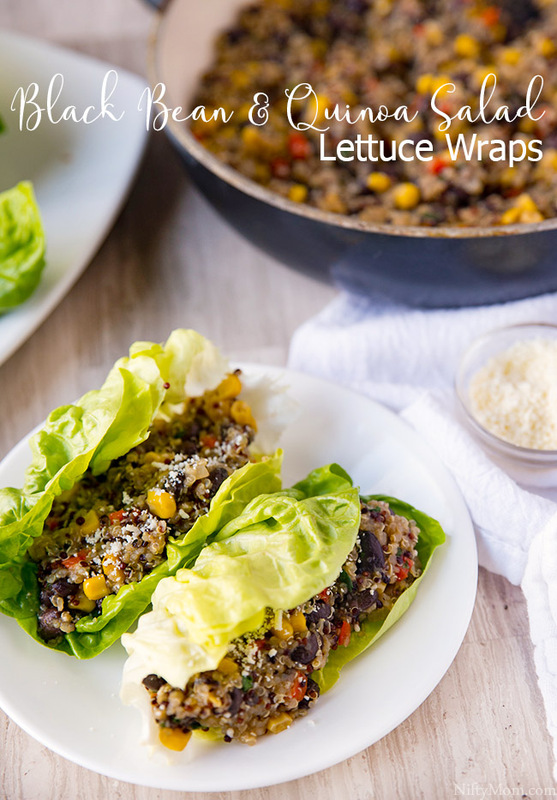 The recipe is great for lettuce wraps, pita pockets, a side dish, meal preps and more. It keeps nicely and tastes just as delicious the next day (or three). Heat the vegetable oil in a large skillet. Saute the diced onion and red pepper for 3-5 minutes over medium/high heat. 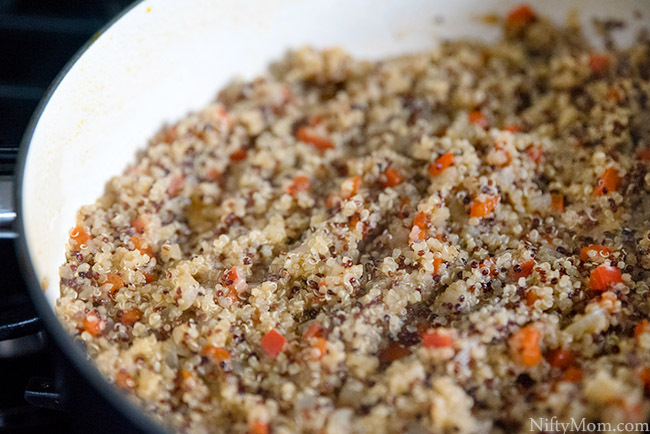 Add the vegetable stock, quinoa, garlic paste, cumin and cayenne pepper to the pan. Mix thoroughly. Bring to a boil, then cover and simmer on low heat for about 20 minutes, until all the liquid is absorbed. Stir occasionally. 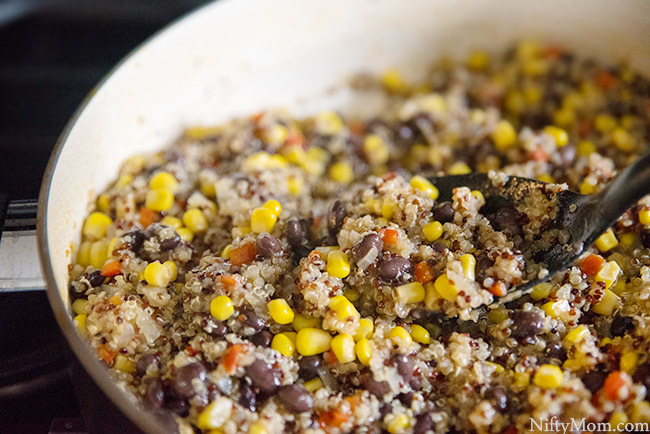 Mix in the drained S&W Black Beans, corn and cojita cheese. Cook on low heat for 4-5 minutes, allowing beans & corn to get warm and the cheese to melt. Squeeze the juice from half a lime into the mixture and stir in chopped cilantro. Season with salt and pepper, to taste. 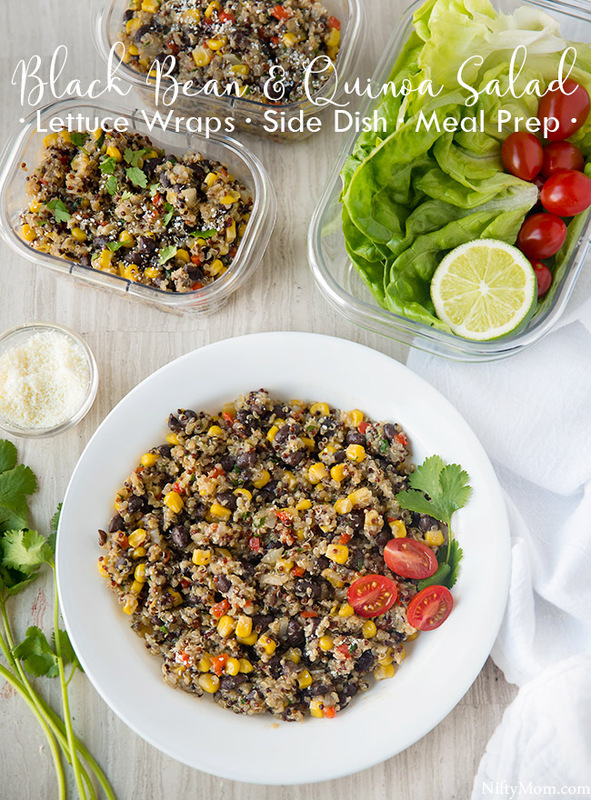 Serve warm as a side dish, in lettuce wraps, pita pockets, tortillas or eat for lunch. If you are using it for meal preps, divide the mixture into containers and let cool before refrigerating. Optional: Serve with avocado & cherry tomatoes and top with additional cojita cheese and lime juice. When I use the salad for meal prepped lunches, I also make a few containers of bibb lettuce to make lettuce wraps. 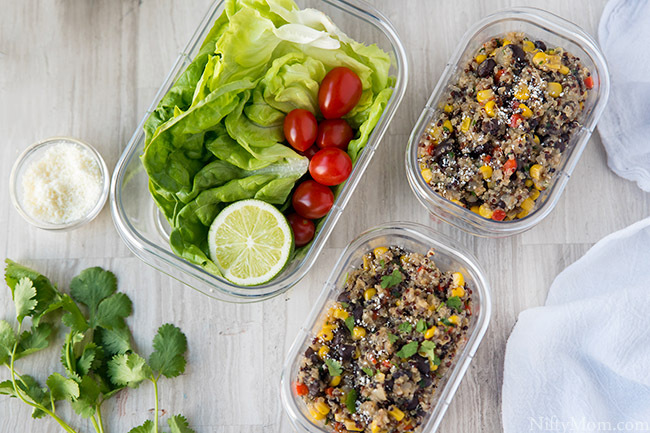 This easy Quinoa & Black Bean Salad recipe is great for lettuce wraps, pita pockets, a side dish, meal preps and more. Saute diced onion and red pepper for 3-5 minutes over medium/high heat. Add vegetable stock, quinoa, garlic paste, cumin and cayenne pepper to the pan. Mix thoroughly. Bring to a boil, then cover and simmer on low for about 20 minutes, until all the liquid is absorbed. Stir occasionally. 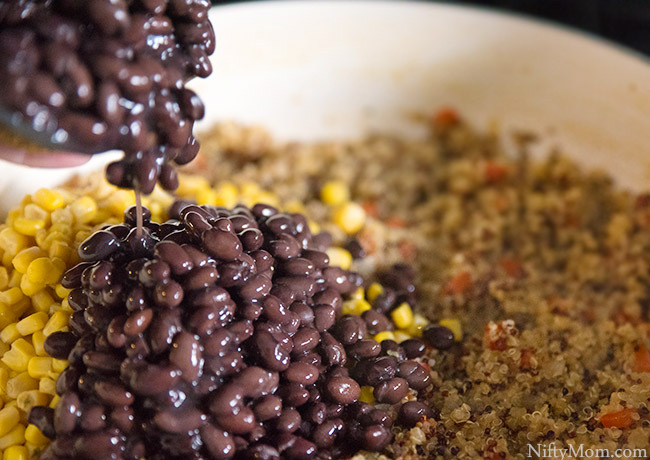 Mix in S&W Black Beans, corn and cojita cheese. Cook on low for 4-5 minutes allowing beans & corn to get warm and cheese to melt. Squeeze the juice from half a lime into the mixture and stir in chopped cilantro. Serve warm as a side dish, in lettuce wraps, pita pockets, or eat for lunch. 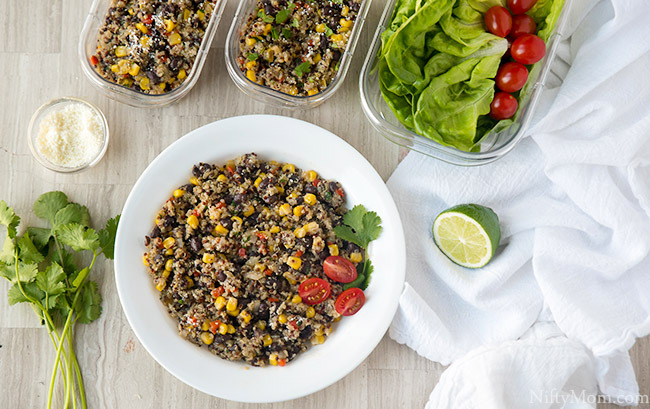 If using for meal preps, divide mixture into containers and let cool before refrigerating. 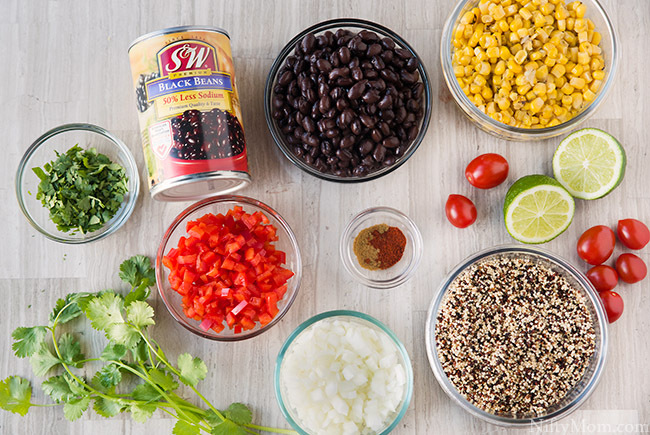 For some delicious recipes using beans, visit S&W Beans recipe page. 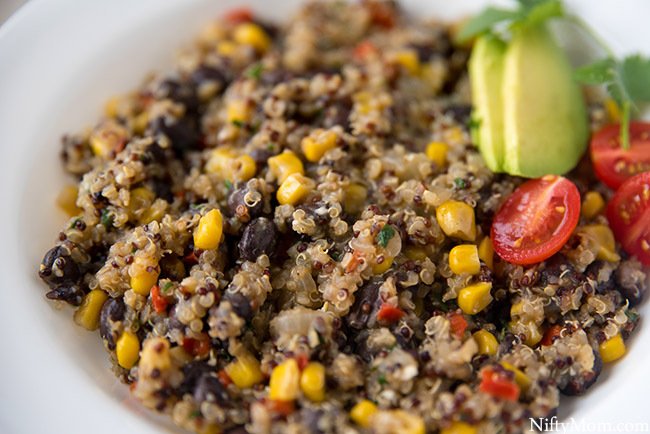 How would you enjoy the Black Bean & Quinoa salad?